When you put your hands on your hips, they are on the iliac crest of your hip bones, the front and outer area of your pelvic girdle. 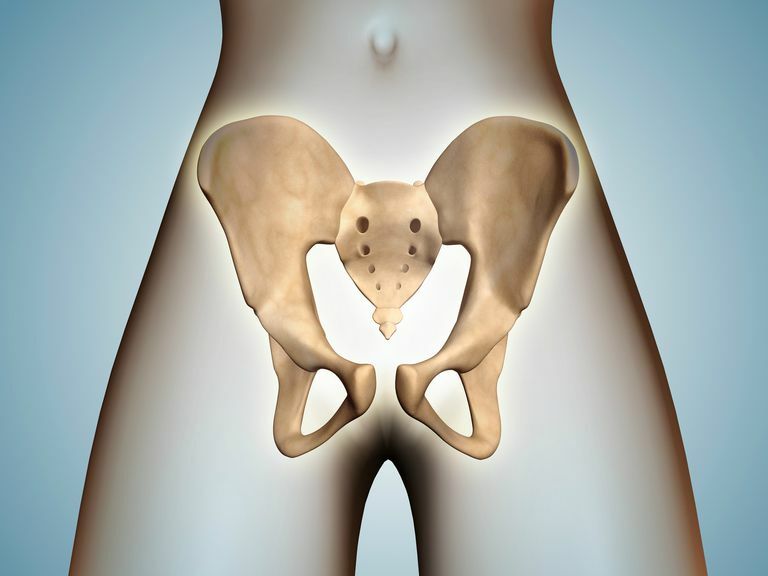 The iliac crest is the thick curved upper border of the ilium, the most prominent bone on the pelvis. The iliac crest is concave in front, rounding inward, and convex in back, rounding outward. You can feel the iliac crest by pushing your hands on your sides at your waist, feeling for the bone and following it down and to the front. When you think of how wide your hips are, you are probably thinking of the distance from the iliac crest on one side to the other. The iliac crest is the upper border of the wing of the ilium, the outer and upper margin of the pelvic girdle. It runs from the anterior superior iliac spine to the posterior superior iliac spine. It has an inner and outer lip. There is an iliac tubercle on the widest point of the iliac crest. This is where the iliotibial band attaches to the hip. The iliotibial band attaches the muscles that extend, abduct and laterally rotate the hip and stabilize the knee. Many of the important abdominal and core muscles are attached to the iliac crest. These include both the internal and external abdominal oblique muscles, the erector spinae muscles, latissiums dorsi, transverus abdominis and tensor fasciae latae. When a bone marrow biopsy or harvest for donation is needed, the iliac crest is where doctors prefer to go for red bone marrow. It is easy to find and has a large supply of marrow. It is also a site that is used to harvest bone for grafting. When doctors need to perform a lumbar puncture (spinal tap) for cerebrospinal fluid, they locate the iliac crest first as it is a marker for where to find the L4 lumbar vertebrae where they insert the needle into the spine. Athletes may only become familiar with the iliac crest when they sustain a hip pointer injury. This happens most often in contact sports or in a crash during skiing. A direct blow to the hip bruises the bone, muscle, and fascia. It is extremely painful. As this is where the abdominal muscles insert, the pain can be felt during normal activities, even while walking, laughing or coughing. It has to be given time to heal itself with conservative treatment and pain relief. In the sports of football and hockey, athletes may wear hip pads to reduce their risk of getting a hip pointer during a game or practice. This padding is placed over the iliac crest to protect it. The pads may be a lightweight plastic material that can be slipped into specially-designed sleeves on football and hockey pants. For other sports and activities, they may be designed into compression shorts in just the right areas.